Whomp whomp. 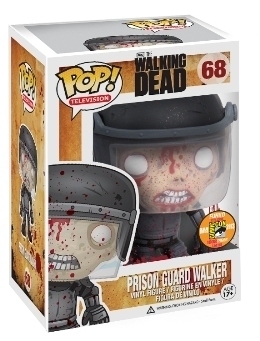 There're no Prison Guard Walker (Blood Splattered Variation)s for sale. As Rick and company kill walkers inside the Prison yard, four walkers in riot gear appear which made them harder to kill.